Are You Ready for Lightning? Find Out in Less than 5 Minutes! Salesforce has quietly rolled out a tool that could be of major value to you. It’s a Lightning assessment tool that quickly inventories an org’s features and generates an easy-to-read report that outlines those currently used features, plus notes on which ones are Lightning enabled. To access the tool, go to “Setup” on the left hand bar. Then click “Lightning Experience” at the top. The Lightning readiness page will render on the right. Click the “Evaluate” link. Within minutes, a Lightning readiness report will be sent to your email address. The Lightning readiness report does a great job of breaking up information about the used features in your org. You can immediately begin assessing if a move to Lightning would entail zero, some, lots, or seemingly impossible amounts of complexity. Do we currently use this item/feature? If I do nothing and enable Lightning, will the default behavior leave my users in a position to easily continue doing their jobs? How can I test this with users? Will there be any technical work or consulting needed to resolve this feature/item? Generally speaking, you can’t expect a cut and dry answer in a complex situation like this. But–this report can save you a lot of hours of digging and researching. Instead of having to hunt for everything yourself, you’re able to have a list served up to you. That means you can focus all of your energy on assessing the results. We do this type of thing all the time, and are always happy to have a look and make a recommendation should you need a little extra guidance. 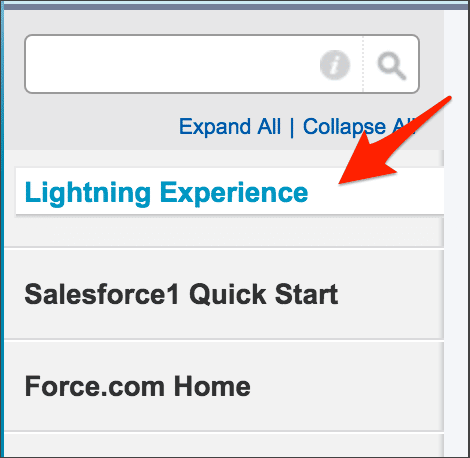 If you’re looking for more information, check out this helpful article from Salesforce titled, “Deciding if Lightning Experience is Right for Your Company.” And for even more material, Adam’s recent blog post will shed some light on the topic of making the transition to Lightning Experience. Do you have any tips on assessing Lightning readiness? Leave a comment below or on Twitter – @redargyledotcom. Red Argyle welcomes Vinu Vijayan! Red Argyle is headquartered in Upstate New York and operates globally. We specialize in Salesforce Development, Consulting and Administration. Let us help you with your next Salesforce.com implementation. Copyright © 2019, Red Argyle, LLC. All rights reserved.